The NEM.io Foundation has set its sights on expanding Australia’s thriving blockchain ecosystem by launching a new blockchain hub in Melbourne. 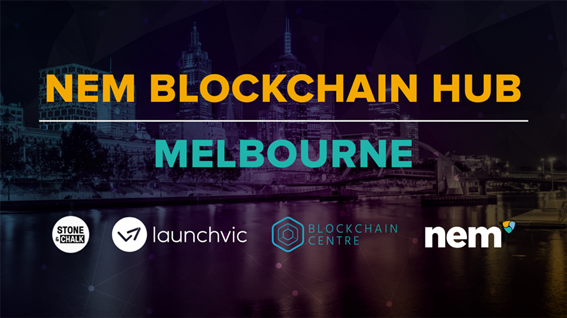 The new hub in Melbourne will serve as a central location for blockchain innovation where dedicated NEM representatives will be present to engage with both the public and members of the community to help them better understand the basics of blockchain technology and cryptocurrency. It will also be a way to continue to grow NEM’s ecosystem of partners and help support start-ups who are interested in adopting the technology for their business — through regular activities, blockchain workshops and forums held throughout the year. Commenting on the announcement, NEM Foundation’s Australia and New Zealand Lead, Jian Chan said that NEM’s presence and recognition within Asia Pacific had grown considerably over the last 12 months and the launch of the blockchain hub was a logical next step. Jian also manages the hubs and will be the point of contact for growth in the region. Chan added the NEM.io Foundation, who are creators of the peer-to-peer NEM blockchain platform and the XEM cryptocurrency, plans to launch further hubs across the Asia Pacific region as part of its global expansion strategy. The announcement follows the launch of similar NEM.io blockchain hubs in Brisbane and Westport, New Zealand over the last year. Dr Kate Cornick, CEO of LaunchVic, welcomed the announcement, saying LaunchVic was pleased by the opportunity to work more closely with the NEM Foundation and its ecosystem partners. The Innovation Hub is currently home to several key organisations across the Australian fintech, start-up and blockchain space, including: government agency LaunchVic, not-for-profit fintech hub Stone & Chalk, CSIRO’s data innovation group Data 61, start-up culture live program That Startup Show, technology accelerator Startmate, AgTech technology fund and start-up accelerator Sprout X, and Australia’s national medtech accelerator The Medtech Actuator. The Blockchain Centre, one of the largest blockchain communities in Australia, had recently moved into the Victorian Innovation Hub as part of the announcement. “NEM has been a long-time partner of Blockchain Centre, there is a demand within our community to understand the difference between various blockchain protocols and we are glad that we are able to work with NEM on this. -Karen Cohen, General Manager for Blockchain Centre. To date, the NEM blockchain protocol has been a platform of choice for hundreds of companies across the world. Currently, five start-ups in Australia and New Zealand have chosen to build on the NEM blockchain and were eligible for funding through the NEM’s funding mechanism aimed at promoting and developing the NEM blockchain ecosystem. NEM.io Foundation’s Australia and New Zealand Lead Jian Chan said these start-ups have used the NEM blockchain to build their organisational framework in exciting ways and include CopyrightBank, RocketShoes, TravelbyBit, Choice, as well as Origins, with further partnerships expected in the pipeline. Chan said there are also companies who have opted to conduct an initial coin offering (ICO) on the NEM blockchain platform.